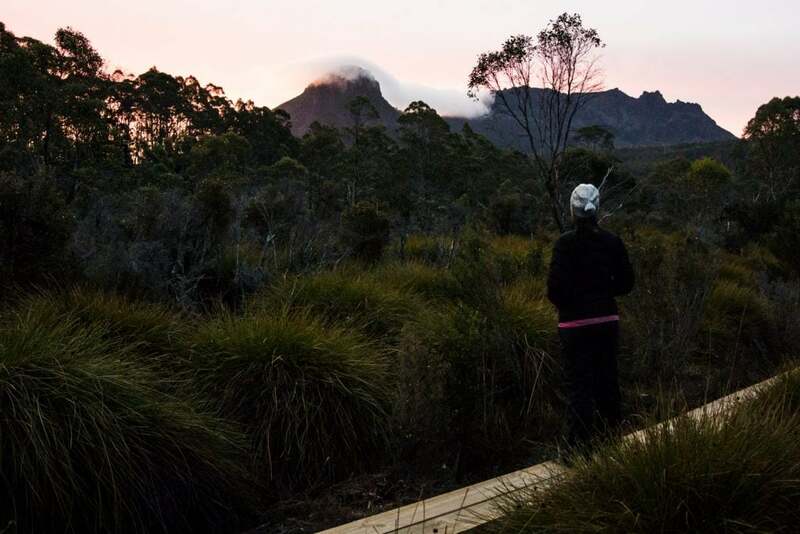 To describe Cradle Mountain as magical is an understatement. On our first visit we explored the area with a few day walks. But the mystery of what lay further in this wilderness had us vow to return for more exploration. So it is no surprise that a short year later, we were back with our backpacks. 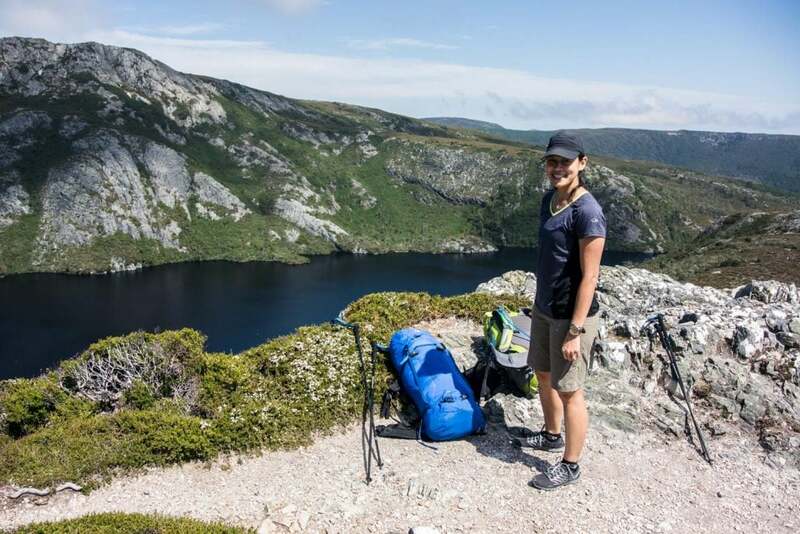 This time we were ready to tackle Tasmania’s 6 day, 65 kilometre, Overland Track. 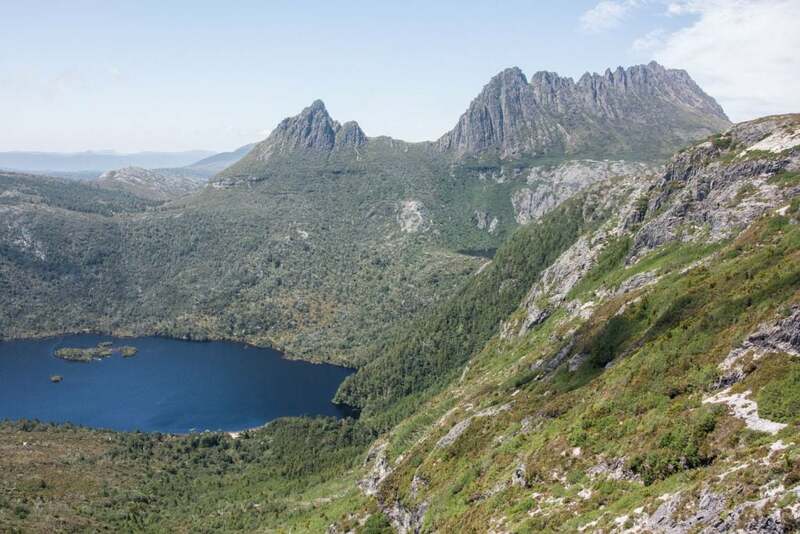 From Cradle Mountain in the north, the track cuts through the heart of wild Tasmania, to Lake St Clair in the south. The first day of a hike is often the toughest. Settling into a rhythm, getting the feel of the boots and adjusting to the pull of the pack once again. 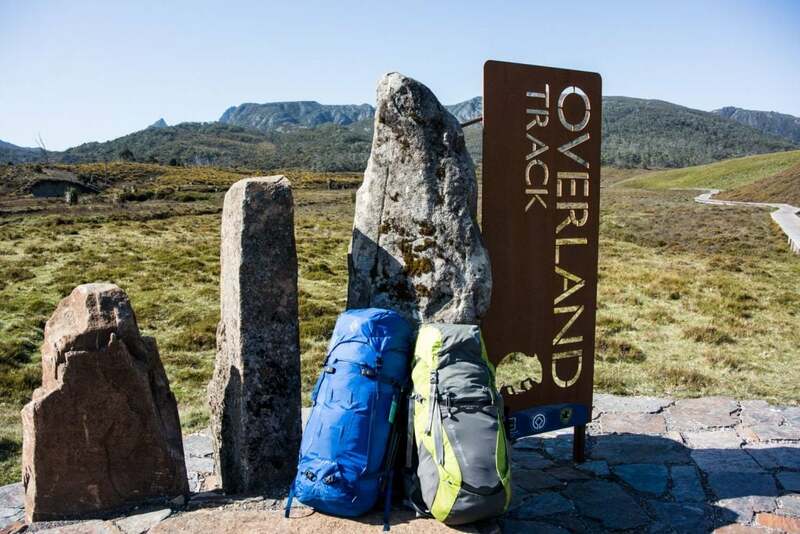 On the Overland Track, the first day just happens to be one of the longest as well as one of the steepest. But with the spectacular views, each steep climb is rewarded with sweeping scenes, each a little sweeter for the hard work to reach them. Summer is peak season. 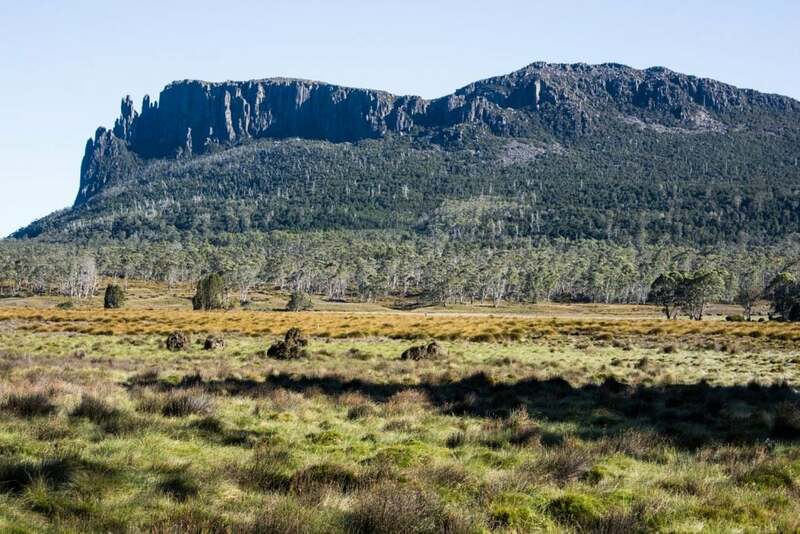 To manage safety and environmental impact, the Tasmanian Parks and Wildlife Service implement a permit system. 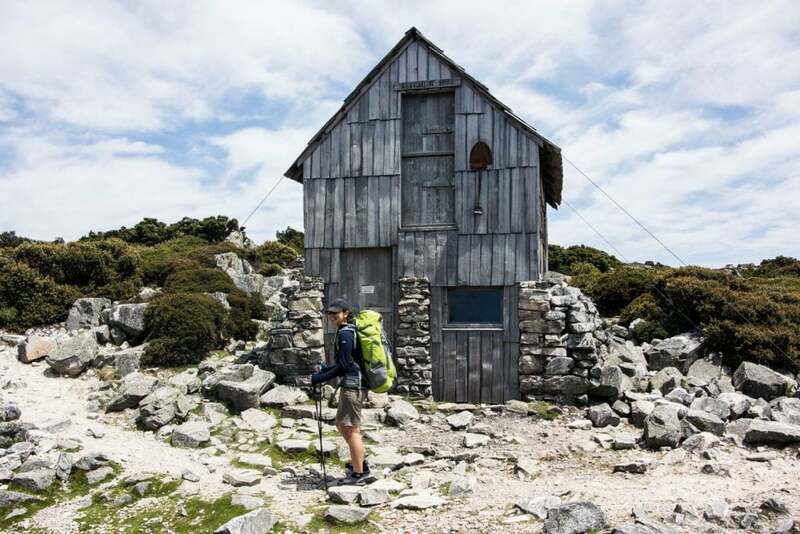 Walkers are restricted in numbers and all walkers must travel north to south – a great idea which means you’re not passing oncoming people all day. 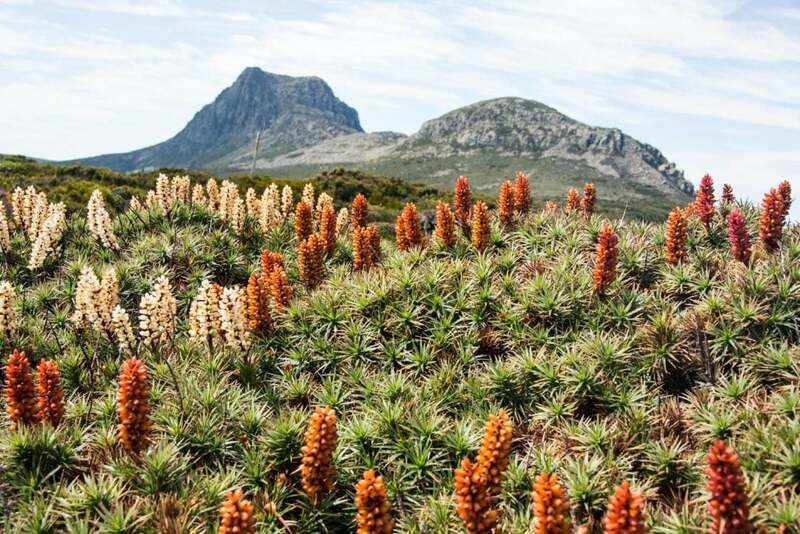 While summer usually provides the best weather, this is Tasmania – so we were prepared for sun, rain and snow. But thankfully we did not need to use the shovel to dig for emergency shelter at Kitchen Hut! 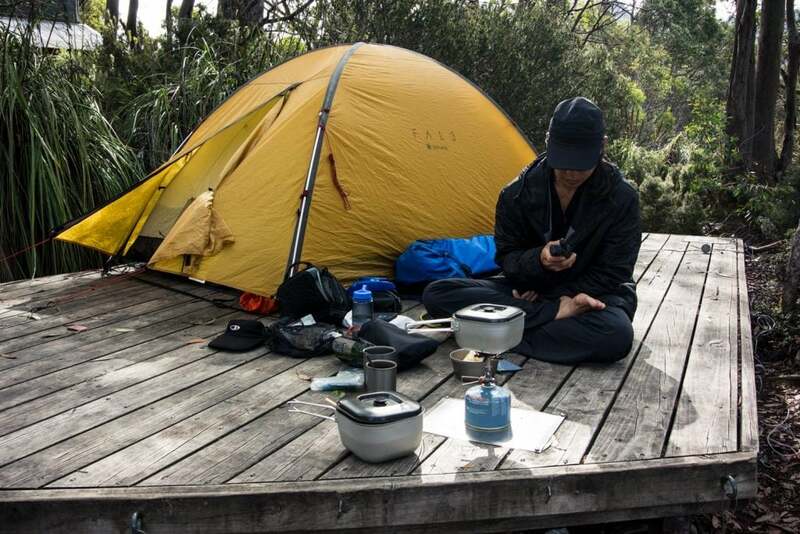 It’s a variety of details that came together for us to form what was a truly memorable hike. 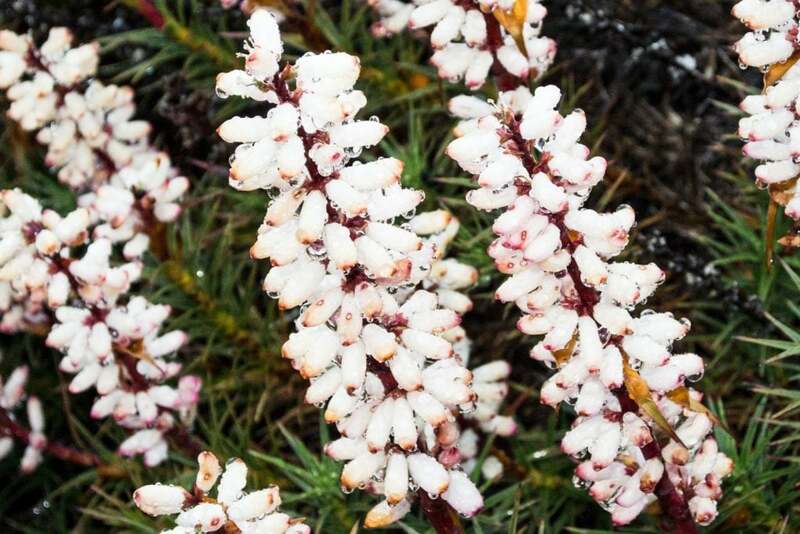 The sweeping mountain vistas, the pristine alpine lakes, stunning wildflowers, moss covered trees and furry friends. 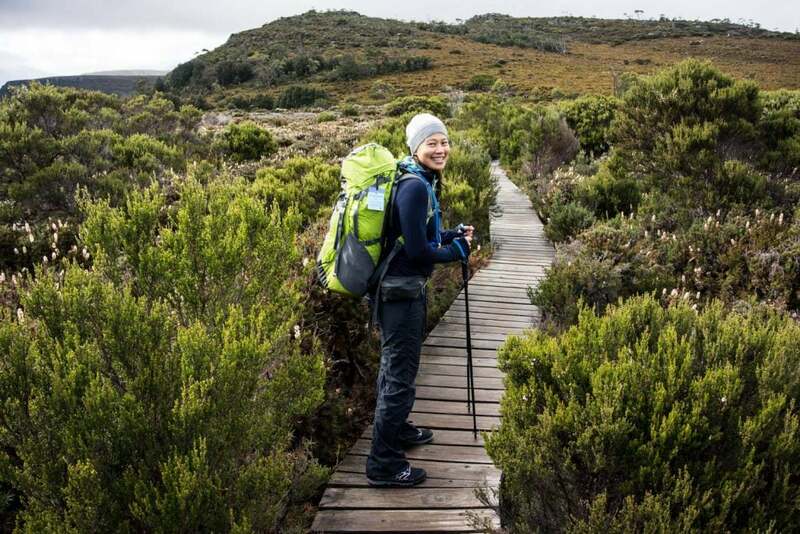 Not to mention getting to know the other hikers who have come from all over the world to walk this infamous track. Some nights we rested in rustic huts with breathtaking mountain views, while on other nights, we pitched our tent to enjoy the evening outdoors and take in the night sky. 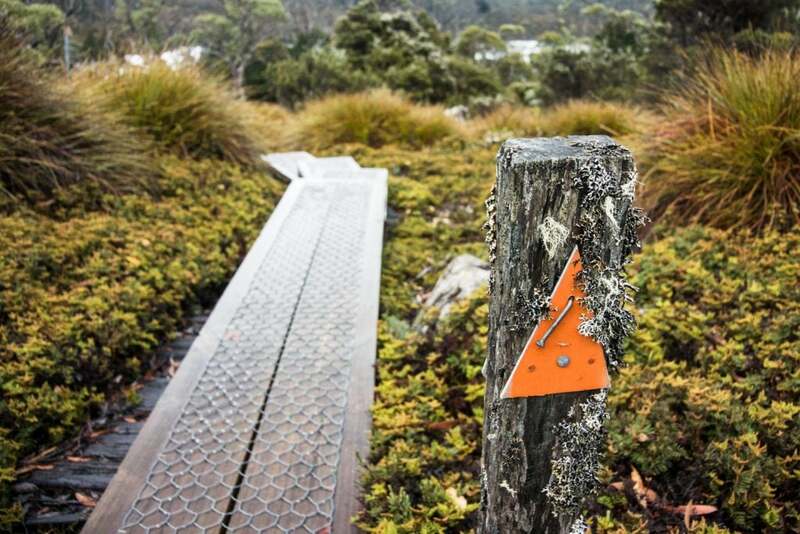 The track varies between dirt, rock, mud, slippery tree roots and boardwalk. 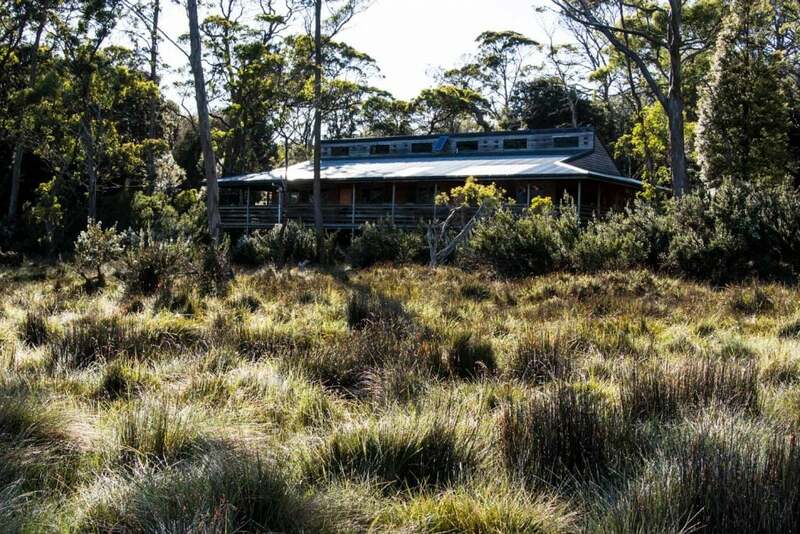 The boardwalks protect the buttongrass moorlands and other fragile sections. 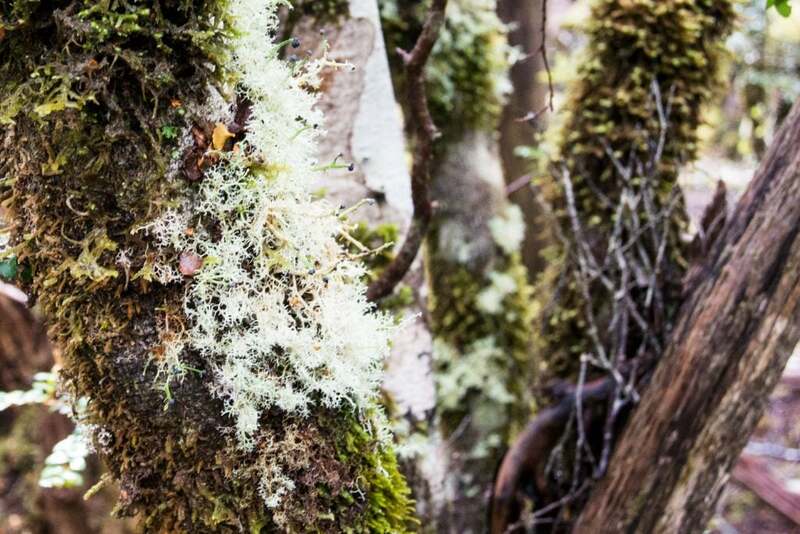 We were lucky enough to meet a veteran trail builder on the track. 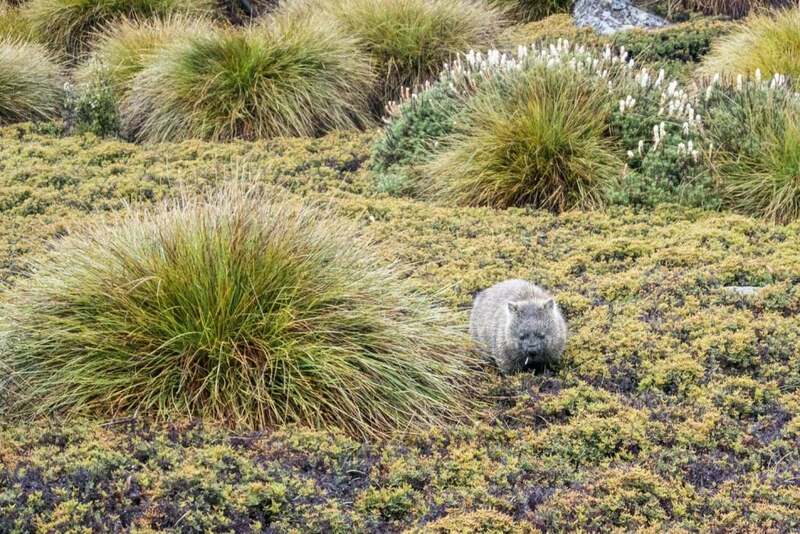 He was an older gentleman who had spent years building tracks throughout Tasmania. 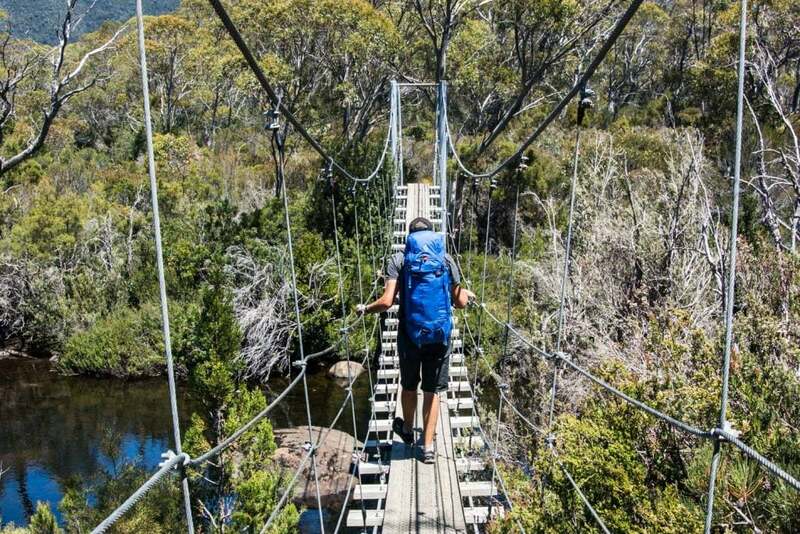 He shared tales of how they ferried in supplies by helicopter and then manually hauled their tools and timber to put together the next section of track. Such an impressive man, and it was great to have some insight into the human effort that has been invested into opening this area up to more than just the hardiest of walkers. It was heartening to learn that he was there doing part of the track with his family of 3 generations and that this was something that the family do together each year. This was a wonderful place to be. 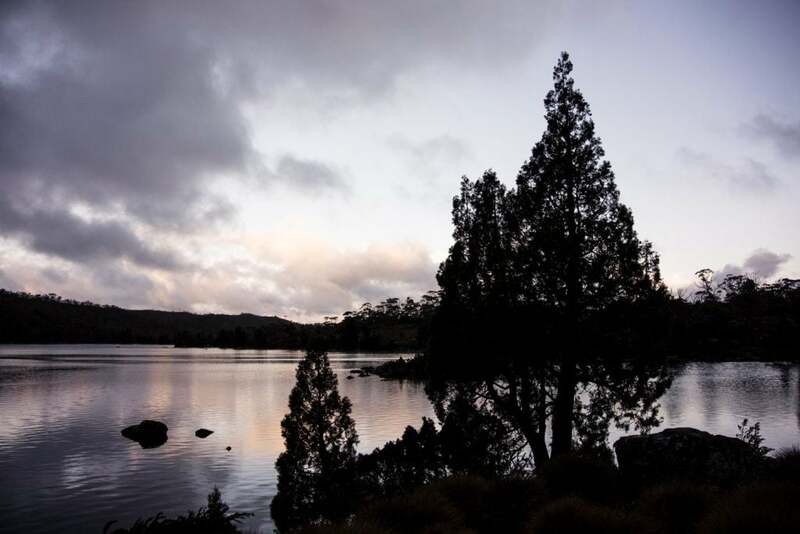 The sunsets, the after dinner strolls – exploring nearby lakes or looking for wombats. Breathing in the pristine air makes you feel truly alive. 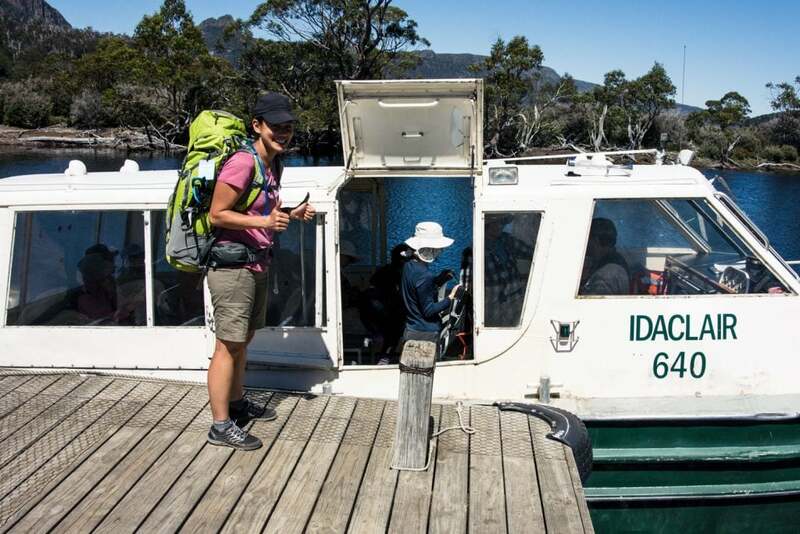 Walkers travel from the world over for this experience, and we can absolutely see why. While few would call it easy, it’s certainly achievable for most people. So if you’re thinking about it – hesitate no more and do it. This is a trip I’m sure we’ll always remember.